Bandai’s Traditional Japanese confectionery “Tabemasu”or “edible mascot” line of products has a new addition to the series, basing it around one of Japan’s most popular characters “Doraemon”. The new series is called “Tabemasu Doraemon”. This new confectionery series can be purchased in the confectionery department of AEON malls nationwide (excluding Okinawa). 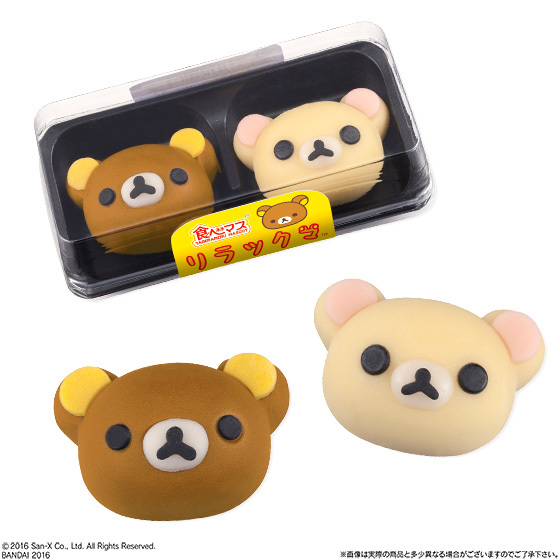 The sales of “Tabemasu Rilakkuma”, another series from “Tabemasu” was launched on Tuesday 26th April 2016 at Lawson convenience stores nationwide (Excluding Okinawa). 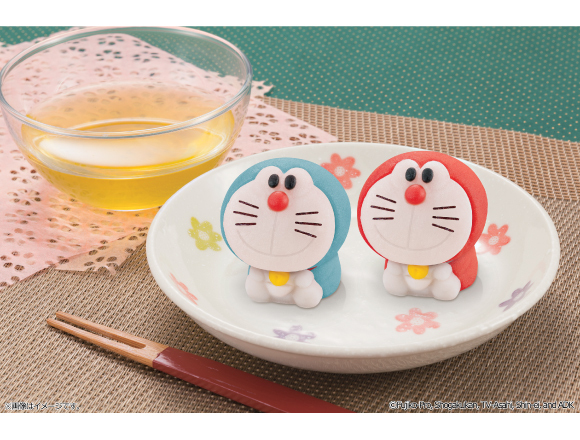 “Tabemasu Doraemon” comes in two varieties including “Doraemon Custard sweet bean paste filling”and “Doraemon’s secret tool Mini Doraemon (Milk flavoured). 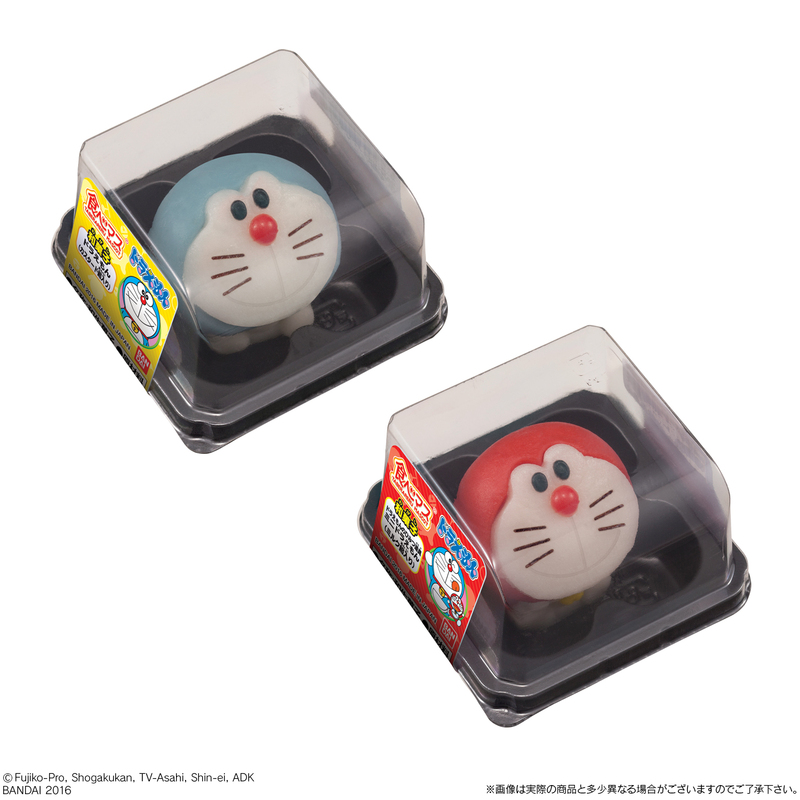 Both Doraemon and Mini Doraemon are approximately 40mm long and the details of the bells around their necks and the designs of the 4D pocket are elaborate, adding to the cuteness of the design! The two sweet bean paste flavoured Doraemon taste like custard and milk respectively. The mild taste of these Japanese confectionery goods is what makes them truly charming! 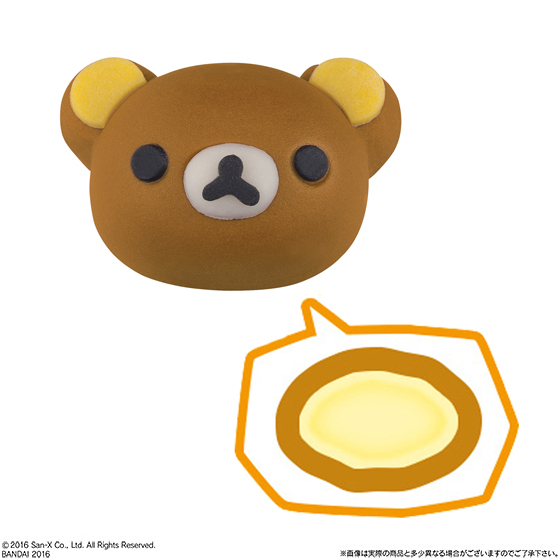 “Tabemasu Rilakkuma” includes two Rilakkuma each of two different flavours — Rilakkuma Custard Pudding flavor and Ko-Rilakkuma Milk flavor! 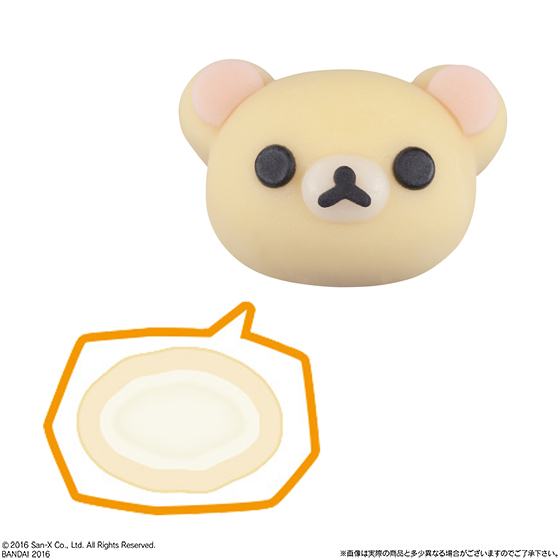 Being cute and round, these irresistible Rilakkuma make for the perfect treat. Gaze into their round pupils and you will see for yourself! These Japanese traditional confectionery goods also have a gentle western style flavour, which is why they are worth a try! ※In some of the areas listed above, it is possible that some stores do not sell these confectionery products. ※This product is not a regular sale for Lawson stores. ※As there is a limited number of these confectionery goods, the sales will end once the product is out of stock.